Hi, I’m Major Alistair Rule and I’m one of the Training Safety Officers at the Salisbury Plain Training Area. I blogged for the first time back in January last year and now I’m back to let you know about a new project DIO has recently finished here. 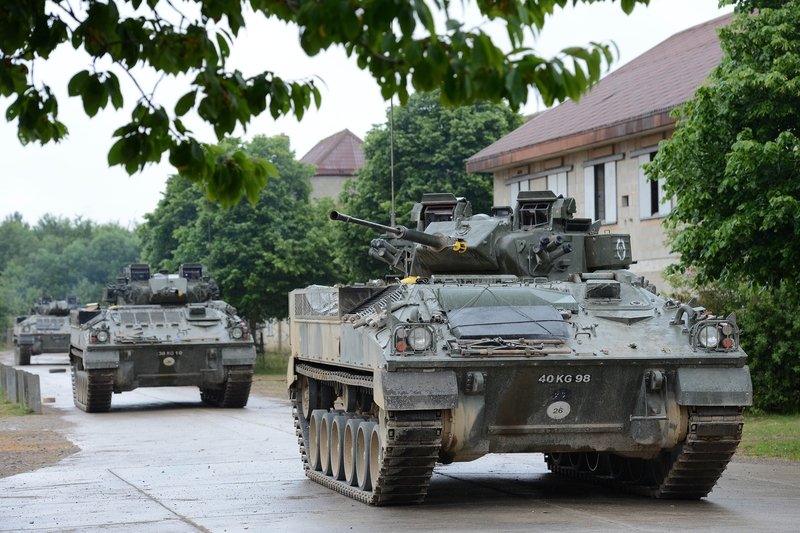 Most of the defence training estate across the UK and abroad is open land, suitable for practicing infantry manoeuvres, fighting with armoured vehicles and so on. 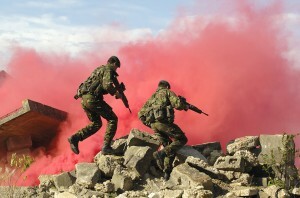 However, soldiers and Royal Marines also need to be prepared to fight in urban areas, including in such close quarters as within city streets and houses. This is known in military lingo as Fighting In Built Up Areas (FIBUA) or Fighting In Someone’s House (FISH). There’s a purpose-built facility at Copehill Down on Salisbury Plain, known as the FIBUA Village. It was built in 1987 during the Cold War and was designed to replicate a German village. 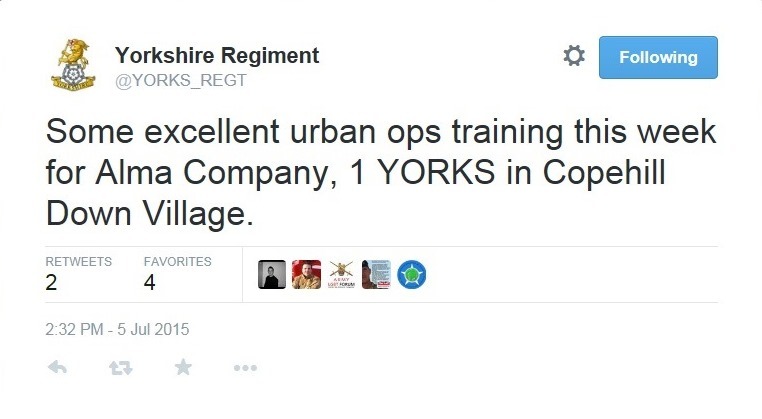 It's a very popular feature, with thousands of troops and dozens of units using it every year. In fact it’s one of the busiest training features on our training estate. That said, we’ve been making improvements to it here and there over the years but there are always improvements we can make so the recent investment in developing the village has been very welcome. 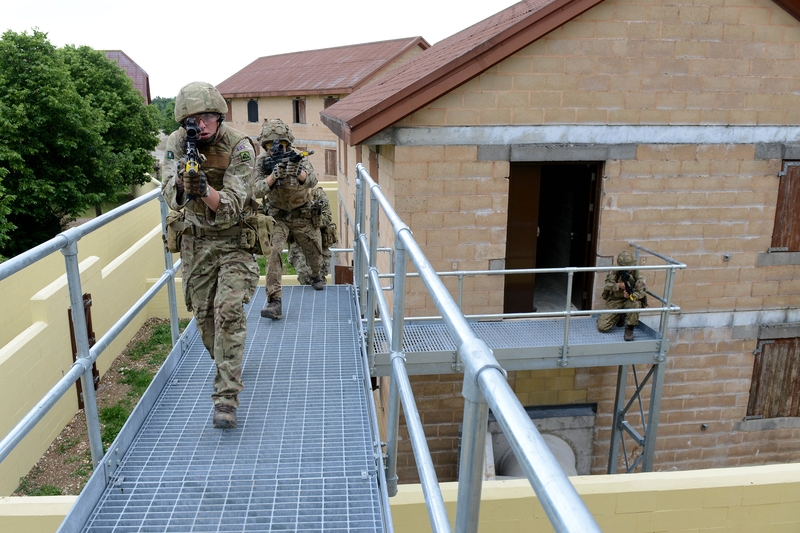 Together with our contractors, Landmarc Support Services, we’ve added compounds, alleyways, tunnels, and high-level walkways, which together add a lot more options for exercising troops. 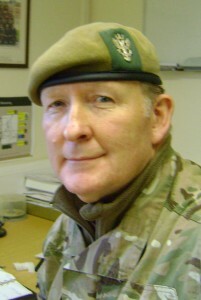 That work cost £325,000 and another aspect of the work, the construction of a shoot house, cost £190,000. 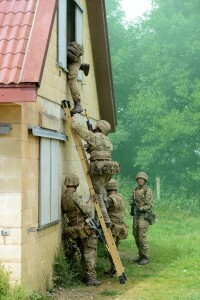 The shoot house enables personnel to practise their low-level urban skills, such as house clearance, using simulated ammunition. The benefit of this is that it allows for more realistic live training without the need to provide large danger areas. The best way to understand the village is to watch it in use. Forces TV filmed a recent 1 MERCIAN training exercise at the Village and BFBS radio also attended the exercise and reported on it. They should give you a good flavour of the Village and the new features - we're very pleased with the new facilities. The work has recently been completed and I’m pleased to say that units are already making good use of the Copehill Down facilities, both new and old. 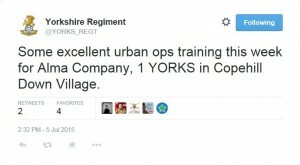 Just a couple of weeks ago, the Yorkshire Regiment tweeted about how useful Alma Company of 1 YORKS had found their sessions in the village, which is a great testament to all the hard work of DIO and Landmarc in upgrading and maintaining the facilities.